HMS Firedrake the destroyer Tynemouth adopted in February last year after the towns Warship Week objective of £250,000 had been more than trebled, has been lost. The vessel was commanded by Comm. E. H. Tilden D.S.C., RN., and the Admiralty has stated that next of kin have been informed. 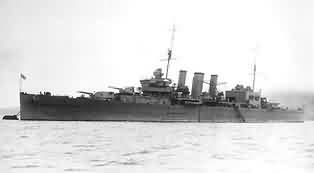 The Firedrake was a 1935 destroyer of 1,350 tons and had a normal complement of 145. Councilor G. C. Murray Mayor of Tynemouth today sent the following telegram to the Admiralty: " The citizens of Tynemouth learn with deep regret of the loss of HMS Firedrake which was adopted by them during Warship Week. Any news of the Commander, officers and men will be appreciated." Speaking to the Evening News on the loss of the vessel, the Lord Mayor said: " It is very sad and one can only hope that the Commander and complement are safe. It is all the more tragic because of the fact that Commander Tilden had only recently assumed command. He renewed the link with the town by sending me a Christmas card from himself, officers and ships company and I wrote to him and sent him a card. It is possible that he did not receive them." In a recent letter to councilor Murray, Commander Tilden wrote " I have recently assumed command of HMS Firedrake and find with great pleasure that the County Borough of Tynemouth has adopted my ship. I understand that owing to service at sea no previous action has been taken by the ship to get into touch with you or your representatives in the borough and I hope you will forgive our tardiness in acknowledging the honour you all in Tynemouth have paid us. I am very sorry that the censorship regulations preclude any attempt on my part to describe the activities and adventures of the ship but I can say without disclosing any valuable secrets that we have recently been employed in the Battle of the Atlantic a battle which as you know goes on unceasingly in spite of the fact that our doings are not often chronicled. The Commanders letter went on to refer to the damage caused to white ensigns and made an offer to send the damaged flags to local schools in connection with savings campaigns. The Commander also revealed that he had local associations. His aunt and uncle were the late Mr and Mrs J. Stanley Mitcalfe and he visited Tynemouth about eight years ago. A book " Destroyers War " written by A. D. Divine. Who was on board the Firedrake in the Mediterranean describes the story of this vessel from the outbreak of war. The Evening News received an appeal from the men of the stokers mess asking if anyone could send them two copies of the book. Whether this request succeeded or not is not known. Photo left: Is a group of rating at HMS Glendower at Pwllheli, North Wales. This was some of the class mates of Arthur Snelling when he was at the training establishment in North Wales 1940. 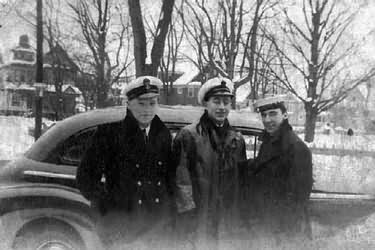 Arthur pictured right, who is not in the photo, was lost when the Firedrake was sunk in December 1942. He had left the photo with his wife, but hadn't written any names on the back, the chap standing on the immediate right may be Billy Kay. The supplies Petty Officer aboard the destroyer HMS Firedrake was lost on 17th December 1942. The ship being torpedoed and sunk by U-boat U211 in the Atlantic while escorting convoy ON153 to North America. Alfred Zeebrugge Sym, named after the first world war naval battle was Born in Gillingham Kent on the 23rd April 1918, he Joined the Royal Navy in 1937 at the age of 18, his first ship HMS Resolution, he then joined the Firedrake in 1939. Alfred had become engaged at Rosyth to Rene Neep who lived in Dunfermline they were to be married in Dunfermline on his return. Photo right: Rene Neep Alfred's fiancee. The night of the 16/17th December 1942 was a tragedy for the families of the crew of HMS Firedrake, but for one family it was double the heartbreak, this was the Totterdell family of Essex, who had two of their sons onboard, Gerald and Ronald, both were lost that night. The Barking, Eastham and Ilford Advertiser, reported the tragedy as follows. After only about three days at sea, and one of them on his first voyage, two Chelmsford brothers have just been officially reported lost as a result of enemy action. They are Gerald and Ronald Totterdell sons of Det.Supt and Mrs G. H. Totterdell, of Police Headquarters, and were only 23 and 21 years old respectively. Both had a wide circle of friends in Chelmsford and other parts of the county. The vessel on which they were serving was a destroyer and was engaged on a convoy possibly in the stormy waters of the Atlantic, when a U-boats torpedo struck and sank her immediately. The name of the vessel and the date of the action cannot yet be stated. Both boys were educated at Trinity Road school Chelmsford. Ronald joined the navy as a boy and was a member of the crew of the Cornwall which before the war was on the China station, leaving that ship to work as a wireless operator on the West African coast Tokaradi. 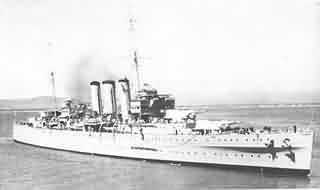 Soon after he parted with his messmates on the Cornwall she was sunk together with the Dorsetshire after a memorable engagement with Japanese dive bombers. While at the West Africa station Ronald contacted black water fever, and was sent home to convalescence and a period in hospital. He had just been certified fit for duty again when he was posted to the ill-fated destroyer now reported sunk. The two boys came to be serving together by a strange turn of the fortunes wheel. It came about in this way:- Gerald on leaving school joined the police as a boy clerk and was engaged in the general office of the Police Headquarters. When 19, he joined the Essex Constabulary, and after the usual short period of training was posted to the C.I.D. at Clacton, which position he left a few months ago to follow the seamanship steps of his younger brother, and was posted to Shotley. From there having passed his tests and qualified for active service afloat, he was sent to Chatham to await a ship. At nearby Rochester in the depot there, was Ronald leading Telegraphist, fit for sea and eager to get to work. Well it was just natural the boys thought it would be nice if they could serve together, and low and behold, when the time arrived both were posted to the same destroyer and in early December, left for an unknown destination. Det. Supt. and Mrs Totterdell received a wire soon afterwards to report the loss of the vessel, and then followed the official letter to say neither Gerald nor Ronald were among the survivors, a sad blow to the parents, who have now only one son Reginald, who is 17, and a leading seaman in the Chelmsford sea Cadets. During a bombing incident in 1940 fate exacted toil on Mrs Totterdell’s family in Kingston Crescent her sister, sister-in-law and niece being killed. On the 5th January 1943, the Daily Express printed a photo of the Firedrake reporting her loss, a month later the missing list including the two brothers Gerald and Ronald Totterdell. 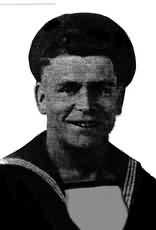 Geordie Pattison, a native of Newcastle upon Tyne, volunteered to serve in the Navy during WWII, commencing with submarine duties where he made great friends with Chuck Henderson who was lead singer with the Joe Loss band. George then served as Petty officer in the engine room of the Firedrake till November 1942 when he was drafted to another ship. He was knocked off his feet when the Firedrake was badly damaged by the ‘near miss’ of the Italian 500 kg bomb in the Mediterranean in July 1941. George never talked much about his wartime experiences except to say that he "went in to the navy as a lion and came out like a lamb." He did, however, have very fond memories of his stay in Quincy, Massachusetts USA while the Firedrake underwent substantial repairs at the nearby Boston dockyard. Many of the crew stayed with local families during this time. George felt overwhelmed with their extraordinary hospitality. He sent many boxes of presents, including home rarities such as Hershey bars and nylon stockings back to his family who were suffering significant wartime hardships. Geordie was a good crooner and the highlight of his stay was singing "Beguine the Beguine" with the Guy Lombardo band in Radio City, New York. One of the local families recorded him crooning on homemade ‘unbreakable’ 78 rpm discs. George sent some home, Unfortunately, he found these to be ruined by overplaying when he returned home. George died on 24 October 1992 aged 73. His funeral service included a recording of Chuck Henderson singing "Beguine the Beguine" with the Joe Loss Orchestra. Geordie’s son, David is trying to trace the people that befriended his father in the USA. Photographed with his wife Mary and baby Colin at Broxton Cheshire in 1939. Norman was lost with the Firedrake on 17th December 1942. Before the war he had served in the merchant navy for a time, but his last job before joining the Royal Navy was in market gardening. His surviving family think while he was with the Firedrake, he had served in the Mediterranean, but are not sure if it was with the Firedrake or not, they haven’t any evidence of him serving on any other Royal Navy ship, so I think he probably did, and if so its likely that he was aboard when Firedrake suffered the damage by the Italian 500kilo bomb and consequently went to the USA for repairs. His family have asked me to say "Does anyone remember him" if so please get in touch. Norman and his family used to live in Femlea Road, Heswell, Cheshire. 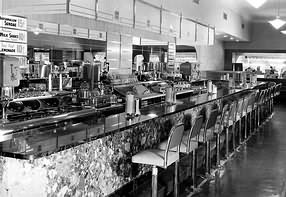 Photo left: Is the Green Lantern Restaurant and Soda fountain in Halifax Nova Scotia, a popular place for the young servicemen in 1942. 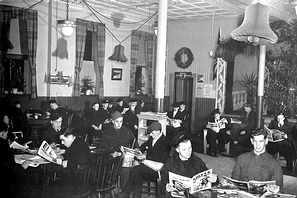 Photo right: Is the Allied Merchant Seaman's Club, in Hollis street also in Halifax Nova Scotia 1942.